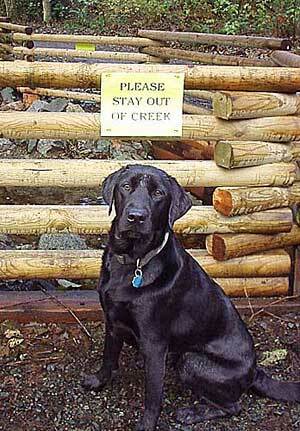 It’s been years since we said goodbye to our beautiful black Labrador, Sisko. As Labs go, he was on the small size… yet he still managed to monopolize our king-sized bed. As a puppy, he had a gift for chewing shoes — and for choosing just one from each pair to maximize the damage he did. He once ate an entire carrot cake. We loved him so much. He wouldn’t have needed to ask an operating system for validation; he was constantly told what a good, beautiful dog he was — first by us, and then in his later years by Alex’s mum (who gave him the best life any dog could have hoped for). And yet when the first of our kids came around, Sisko abruptly dropped in status from “Fur Baby” to “Beloved Dog But Definitely, Let’s Not Kid Ourselves, A Dog.” We were warned that would happen, and didn’t believe it; yet when the time came, it was like throwing a switch. This cartoon, and every dog cartoon I draw, is for Sisko.